Neha Suradkar- A lady with multi talent. She is one such individual who knows well the art of boosting the personality of an individual with her elegant touch of makeup. 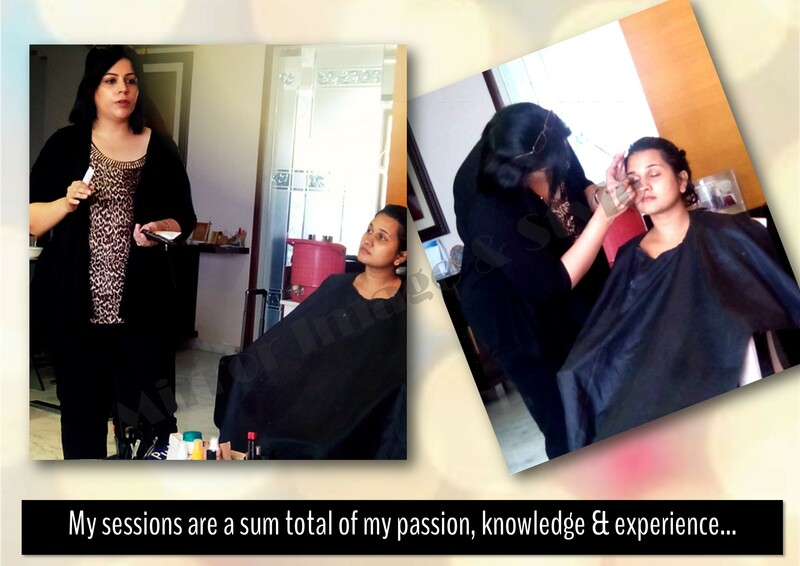 She shared with us her journey so far in various roles and most importantly as a make up artist. Check out what she shared……. 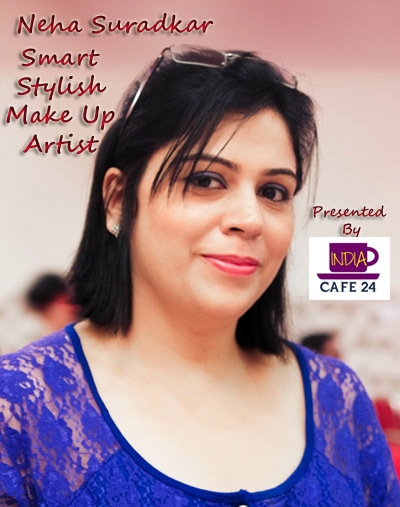 Hi Neha, Welcome to Indiacafe24.com and we are happy to have a talented Makeup Artist like you with us. Will insist you to introduce you to our readers and give a brief about you and your family? Thank you so much for giving me the opportunity to share about myself and my venture with your readers. I am Neha Suradkar, a Makeup Artist and Trainer, a Style Coach™, an Etiquette Trainer, a Corporate Coach and a Blogger. I am the Founder of Mirror Image & Style Pvt. Ltd. I am a post graduate in Fashion and Textiles and have been a Fashion Design Lecturer for few months in NIFT, Delhi and for few years in Mount Carmel College, Bangalore before moving to Japan and then to Singapore, where I pursued styling and makeup. I moved back to Mumbai in July 2014. I am married to a Scientist and have a 4 year old son. We all love travelling and exploring new places. How far we have analyzed you are a makeup artist but with a difference. We would like to hear from you as how you are different from the rest makeup artists in the industry? More than being a ‘makeup artist’, I am a teacher as well. 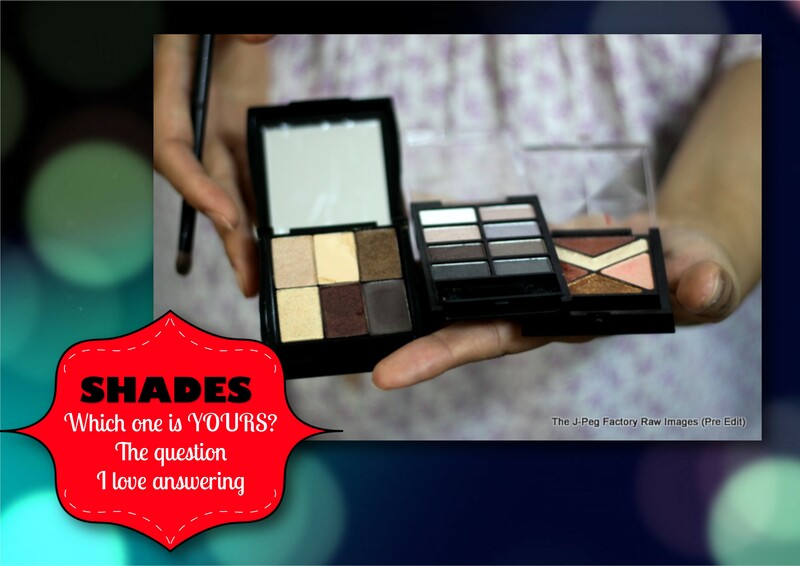 My aim is to educate people about makeup and its benefits and clear all the myths regarding the same. I am more into workshops, trainings and personal makeup sessions where I interact with women and clear their misconceptions apart from taking up makeup assignments. 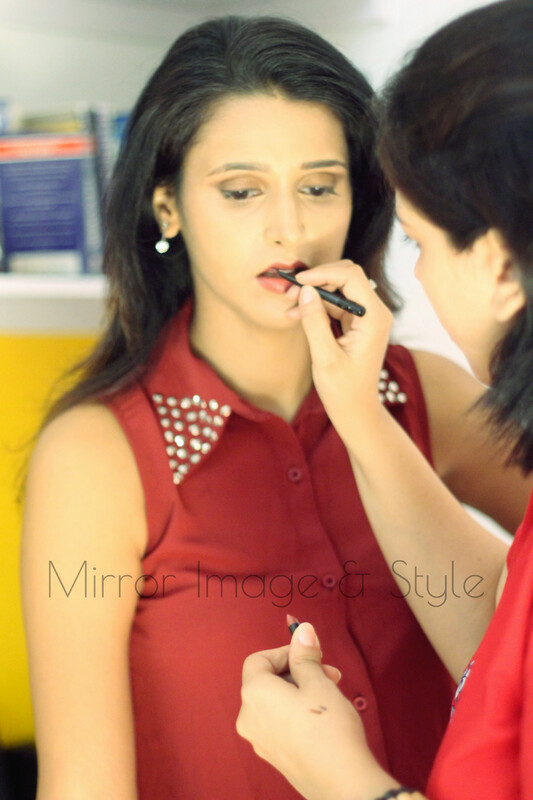 My blog Makeup & Makeover with Neha also reinforce the same thing. I believe makeup when applied correctly should enhance your natural beauty and should not make you look like someone you aren’t. As a makeup artist, I make sure that I understand my client well so that I am able to guide her regarding the best looks for her personality, occasion, outfit etc. Being a Style Coach™, I make sure to give her a complete look rather than just focusing on the makeup. When you first decide to become a makeup artist and who inspired you to enter this industry? Every girl loves makeup. As a child, it never occurred to me that this can be taken up as a profession and in those years, being a makeup artist was synonymous to being a beautician, (and now also people think of makeup artist as a ‘glorified beautician’) which was not a great job profile to have. So I moved on like any other girl with my graduation and post graduation and then went on to take up teaching undergraduate students. It was only after spending few months in U.S.A and then moving to Japan, my love for makeup resurfaced and I decided to pursue it further. I am an absolute believer of what Calvin Klein said “The best thing is to look natural, but it takes makeup to look natural” and want everyone to believe in this. With age, all of us need some kind of makeup to look fresh, polished and professional and putting on makeup everyday is not a bad thing! Have you received any special training before entering this industry? 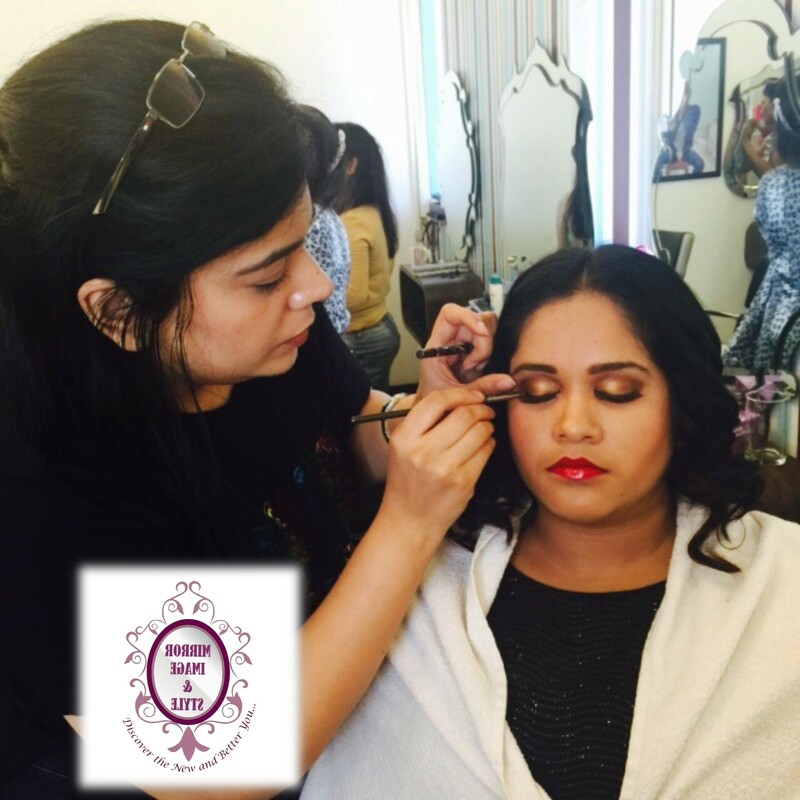 I have worked with a couple of makeup artists in Singapore and after coming back to India, I did a Pro-makeup certification from FAT MU, Mumbai. Apart from this, I am a certified Style Coach™ from Style Coaching Institute®, London and certified Etiquette Trainer from Society of Etiquette Trainers, U.S.A.
How and when MIRRIOR IMAGE AND STYLE (MIAS) was born? Mirror Image & Style was conceived with the desire to help moms rediscover themselves. Being a new mum that time, I could see that it was easy to forget yourself as an individual and be only a mum. The idea was to help mums see themselves in a new light and be the woman they can be apart from being a mum. With this concept in mind, MIAS was founded on 11th April 2013 in Singapore as a Pte. Ltd. Company and was moved to India in December 2014. The first few services that were launched included makeovers and style advice for expecting and new mums. Whats the basic concept of MIAS? 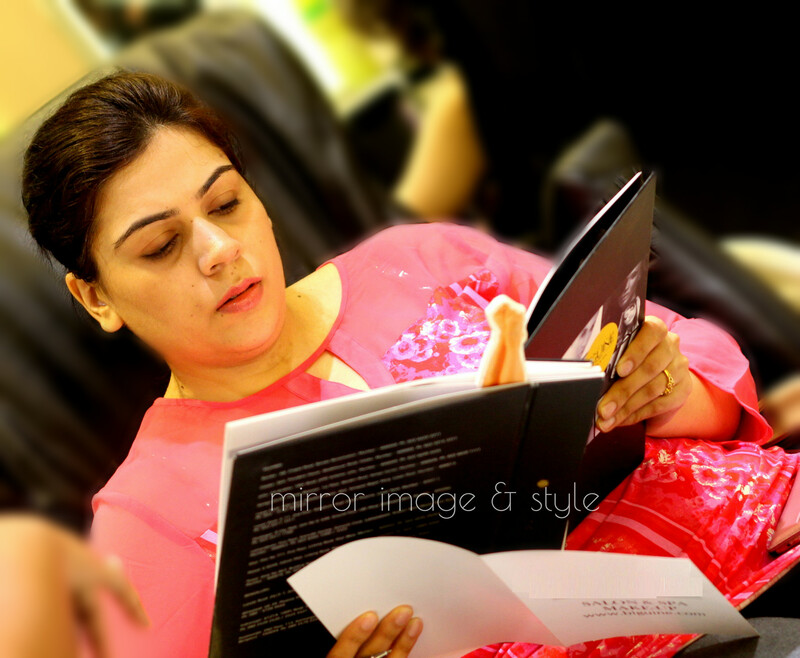 Mirror Image & Style caters to clients with Image & Style Makeovers, Makeup Services, Etiquette Trainings, Corporate Trainings, Personal and Group Trainings and workshops. The focus is to understand the client’s need and make them look and feel beautiful. The clients are suggested to retain their individual style and look different rather than just fitting in the crowd. My mantra is “Be Stylish and not a Style Victim!” Here we feel that Makeovers are not meant for celebrities only and everyone can look great by just putting in a little effort and by getting a good guidance, which we provide. What are the various services you are offering? Who are your targeted clients? Our target clients include Corporates, School and colleges specially the graduating batch, Brides who want to be their best on their d-day and afterwards, any individual who is looking for a change and who wants to look and feel great. What are the common problems which Indian women are facing regarding their beauty and looks? First of all, most of the women here don’t have time to look after themselves. Very few women follow the routine of regular skin care. Considering the environmental pollution, stress, working hours etc., it becomes even more important to look after the skin. Secondly, no one is happy with their body. Some want to loose weight, while others want to gain. One should try to achieve their normal body weight for healthy living but in the meanwhile be confident with your body and dress up according to your current body. Thirdly, we are very fond of picking up clothes that look good to us on the hanger or on our friend/ sister/ celebrity. Very rarely we consider the personal factors like our coloring or our body type. How it feels when people appreciate you and your work? Who doesn’t feel happy when appreciated? And I am no different. I am glad that with my work I am able to create a difference in how people look at themselves. Sharing my knowledge and making people more confident is what I love doing. Share some WOW moments with MIAS? Everytime after a workshop when I see happy and more confident client. Everytime when a client tells me that because of ‘that workshop’ with you, I have now started using makeup or I have started wearing these clothes and I feel so good in them… or when I see that look ‘OMG! I never realized that I can look so pretty’ on client’s face. These are all WOW moments for me. I feel my job is well done and I give a pat on my back. You are also a Blogger too… So what are the topics on which you love blogging? Oh Yes! I always introduce myself as “a writer by passion”. For me writing is all about sharing my knowledge. My blog Makeup & Makeover with Neha is all about beauty, style, makeup, wellness, makeup products, tutorials, reviews, dressing up, makeovers, giveaways etc. What are your other passions in life? Apart from my work and blogging, I enjoy travelling with my family. We are a family of globetrotters. My son experienced his first air travel when he was 1.5 months. Reading makes me stay sane and is like a stress buster for me. I enjoy dance. I am a trained Kathak dancer and have started again after a gap of 10 years. What is your team size at MIAS? MIAS is still under expansion and setting up in Mumbai. I have a few freelancers working with me but not anyone on permanent roles yet. What are your expansion plans for MIAS? Say something for the Indian women who want to start their journey in makeup industry? Beauty and makeup industry is quite saturated. Yet there is a place for everyone. Find your passion, your niche and build your empire. Define Neha Suradkar- The makeup artist in one line? I can make you look the best version of yourself and help you rediscover yourself in a new light… all with elegance, style and sophistication! Dress up well… come out of your night clothes when at home. Comb your hair everyday and feel good about yourself. Stop criticizing what you see in the mirror and find out what you can appreciate.